New York City Mayor Michael Bloomberg is wrapping up a press conference updating storm victims on the status of the recovery. There was critical information about subway closures, the recovery of power, and the city’s response to the hurricane. 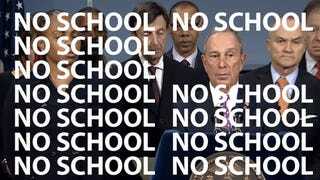 But based on the comments on the Youtube page, Bloomberg only said one thing that mattered.